Hatfield is Quad-Lock’s sales manager for the Rocky Mountain region. But the company has been so successful getting religious construction jobs that he now also serves as “Worship Facilities Specialist” for the company. One of the first projects featured in this magazine was Cornerstone Assembly of God in Bethalto, Ill. (below right). Gary Hartsock, the church’s representative for the project, says energy efficiency was a major factor in the decision. While under construction, “they heated 36,000 sq. ft. with rooftop HVAC units, and the highest heating bill was $834,” says Allan Anderson, technical consultant on the project. The average for the winter was just over $750. Once the building was completed, they switched to a radiant hot water heating system that saves even more. 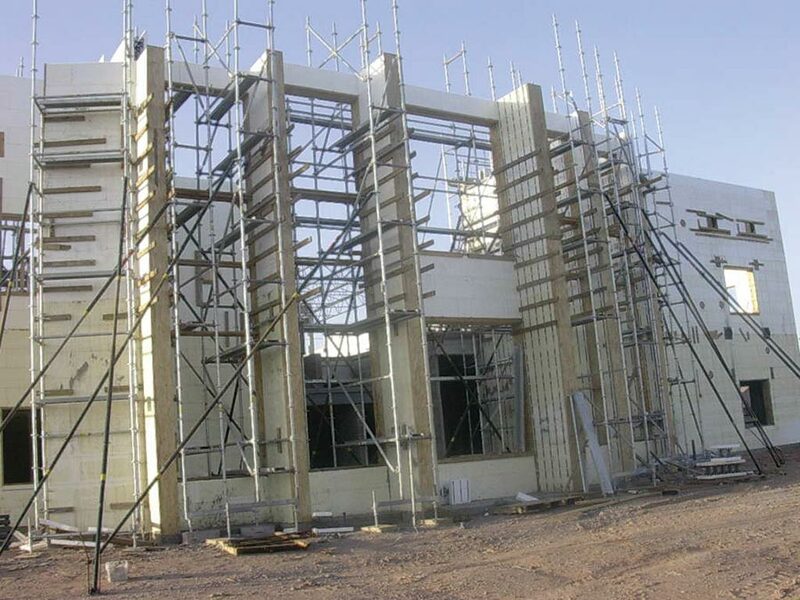 A few high-profile church construction projects have also highlighted the sustainable aspect of ICF construction. For instance, in Greensburg, Kan., the tornado-ravaged town featured in last issue, has three churches, all of them built out of ICFs. The deciding factor there was both disaster-resistance and sustainability, as the entire town is trying to become a showpiece for sustainable construction. But even for more mundane goals, ICFs are a great fit. 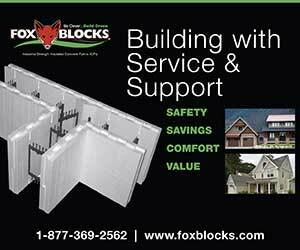 Many church projects are built with volunteer labor, so easy-to-use ICFs have a considerable advantage. 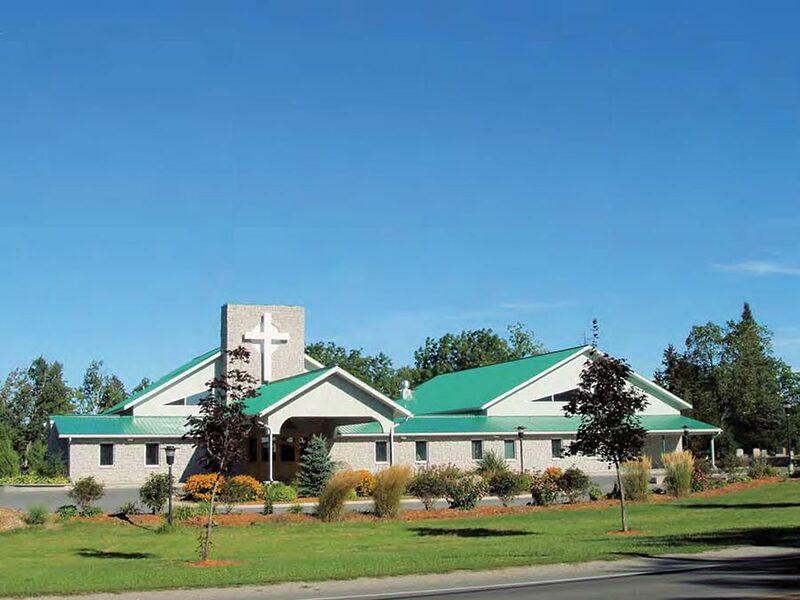 Pinegrove Church in Kingston, Ontario (opposite page far right), for instance, chose to build with ICFs partly because the ICF installer agreed to allow church members to help out as unpaid volunteers. The design was not particularly simple. Unusual angles in the front wall had to be hand-cut and carefully braced. Non-square window openings and stepped sill plates required extra attention as well. Even the baptismal font was made from ICFs. The church members, however, seem to have done well. With only two trained installers on site, 10,000 sq. 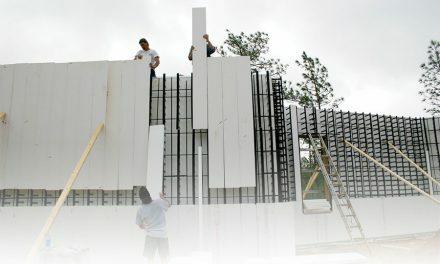 ft of ICF walls—up to 32 feet high—were placed and poured without any problems. 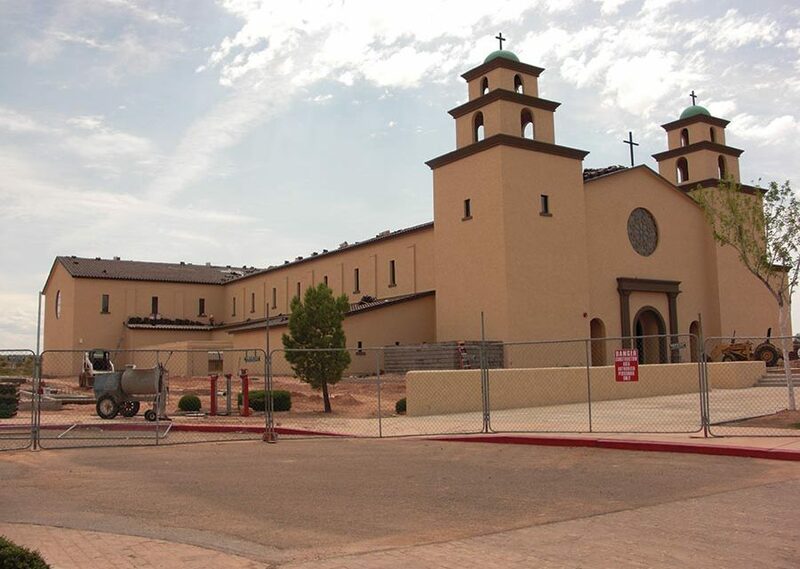 According to Jim Buttrey, vice president at IntegraSpec ICF which supplied the forms for the church, all of the walls are within an 1/8” of plumb. 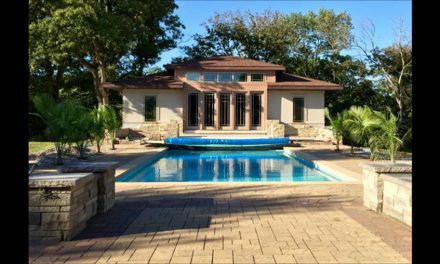 The entire project was completed for about $85 per square foot. 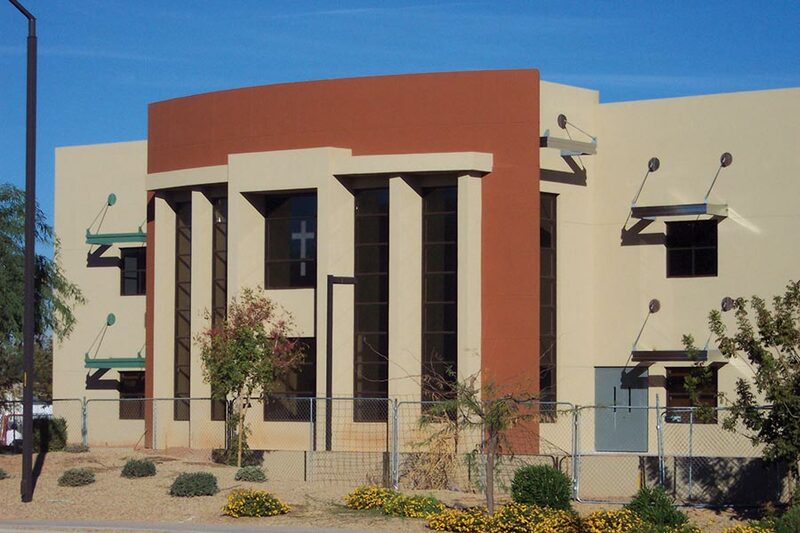 Noise reduction was also a factor for Sun Valley Community Church in Gilbert, Ariz. The three separate areas—worship hall, mezzanine, and classrooms—would be in use simultaneously. 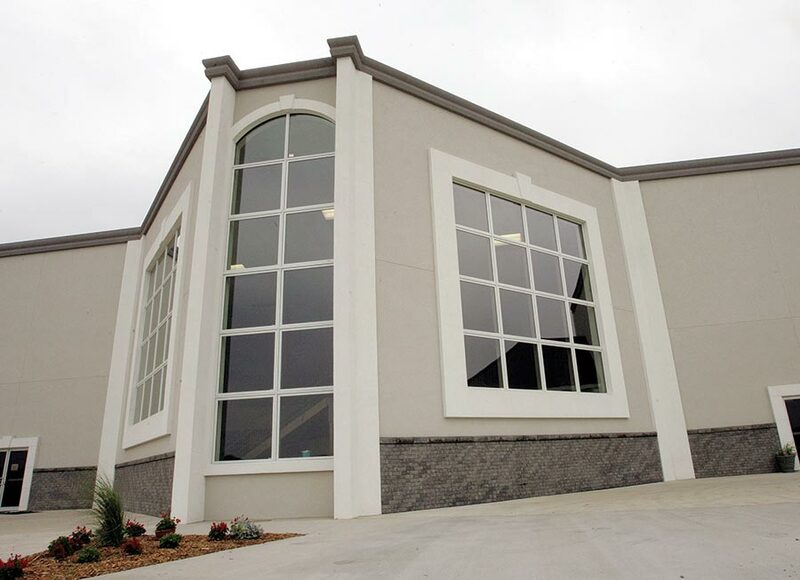 “Installing ICF between the three components of the building has provided a sound barrier allowing it to be used for many purposes,” states Randy Daniels at Arxx, who provided the forms for the church. The building covers an imposing 84,000 sq. ft., with wall heights of 34 feet and in some areas as high as 50 feet. Conditioning such a huge volume of space in the Arizona heat was a major consideration. 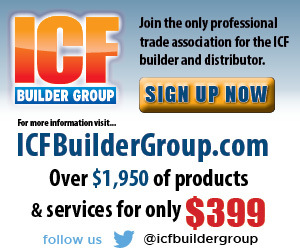 ICFs resolved that issue with their highly efficient combination of concrete and foam. Wall Area: 10,000 sq. ft. Cost: $85 per sq. ft. 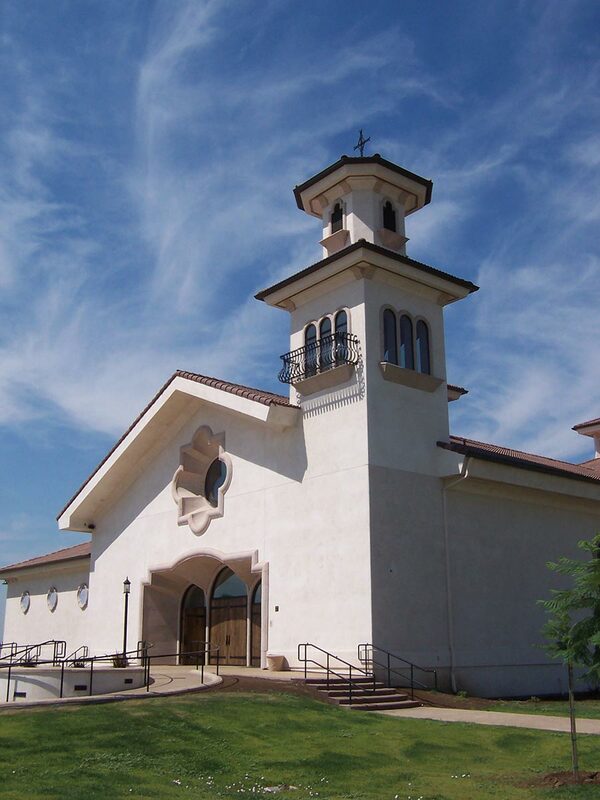 The soaring arches and towering ceiling associated with traditional religious architecture can also be achieved with ICFs. Centuries ago, church architects like Sir Christopher Wren designed cathedrals to last for centuries. That tradition was carried to the New World by Spanish fathers, who built missions and chapels from adobe, many of which are still standing. 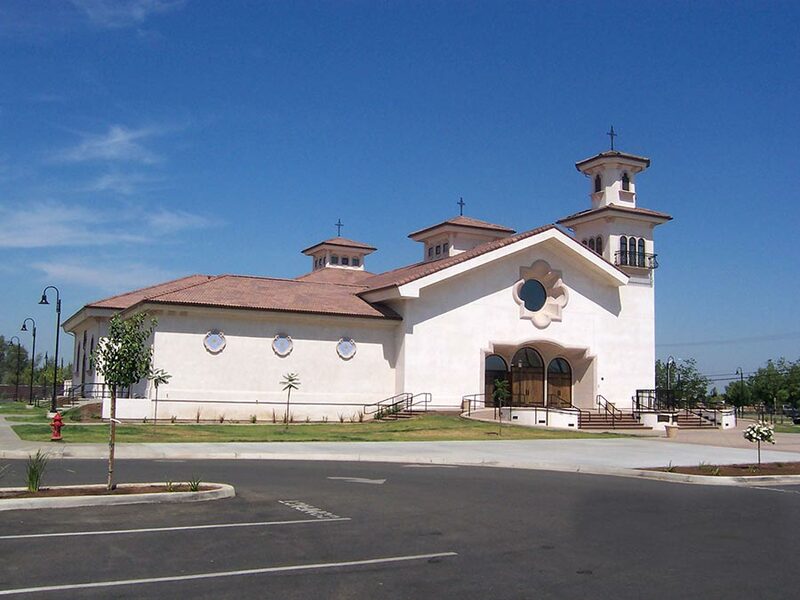 When the Holy Cross Catholic Church, in Porterville, Calif., needed a new building, they wanted to honor both the look and durability of those old adobe worship centers, without compromising on modern amenities. Once again, ICFs fit the bill. “Our main focus of the church design was to pay homage to… the historic missions scattered along the west coast of California,” notes the architect. 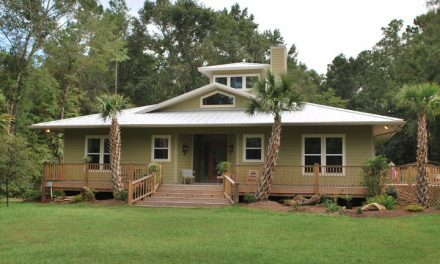 The general contractor was a member of the parish, but he had no previous experience with ICFs. The ICF manufacturer, Arxx, hosted a training class for his crew, the masonry contractor, architect, and others on the construction team. They worked together to maximize efficiency. The window openings and wall plate heights, for example, were designed to correspond exactly with the heights of the ICF courses. ICFs also helped resolve one of the most difficult design issues. 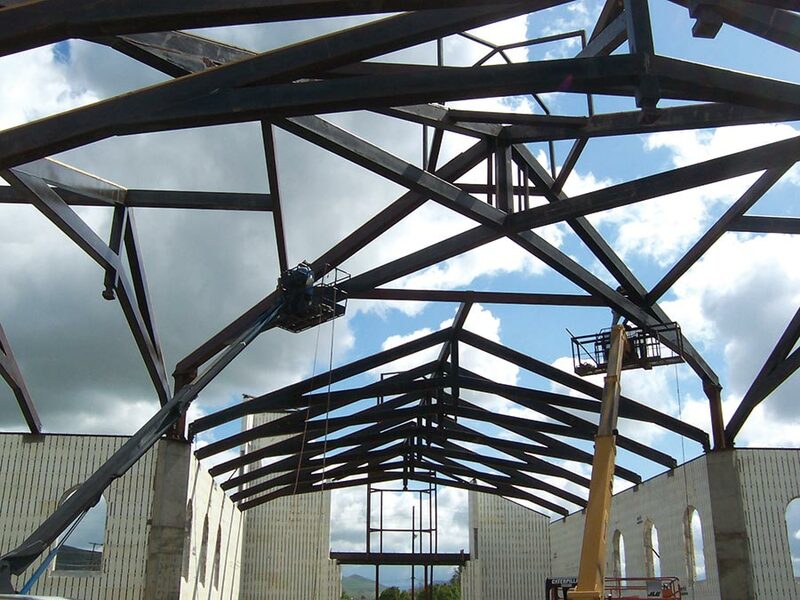 The complex steel trusses spanning the vaulted ceiling areas of the church are extremely heavy. Clear spans over the nave and transepts are 58 feet. Hip trusses over the altar area span 82 feet. 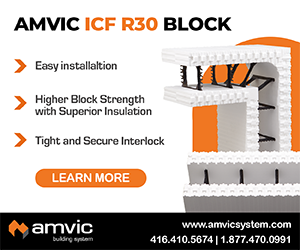 Fortunately, the reinforced concrete core of ICFs easily support the weight of this steel. Forms used on the exterior walls of the church have an eight-inch concrete core. With all interior & exterior wall finishes considered, the total wall thickness is more than 14 inches. Total Building Size: 18,500 sq. ft. 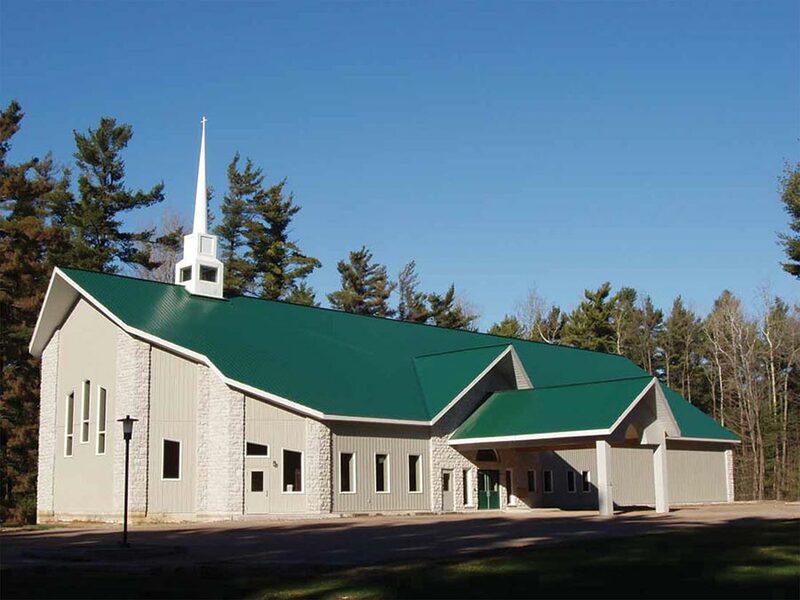 Whether it’s energy efficiency, lower labor costs, structural and architectural considerations, or something else, ICFs are a great fit for church construction. They have been used to build monasteries and youth retreats as well.